The Ryobi ONE+ 18V 2.5Ah Hedge Trimmer kit will allow you to maintain your garden with ease. This kit includes everything you need to get started, with a 2.5Ah battery and charger. The light-weight design reduces user fatigue and the dual-action blades allow you to slice through shrubs and hedges with minimal effort. With a 2.5Ah battery and charger this kit is a great way to enter into the Ryobi ONE+ system of over 60 tools. 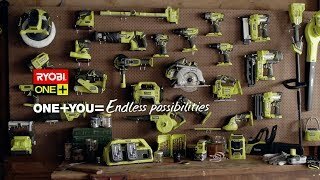 So if you want the freedom of cordless outdoor power tools without the noise or hassle of petrol, the 18V hedge trimmer kit from RYOBI is perfect for you. Grab one today from your local Bunnings Warehouse.